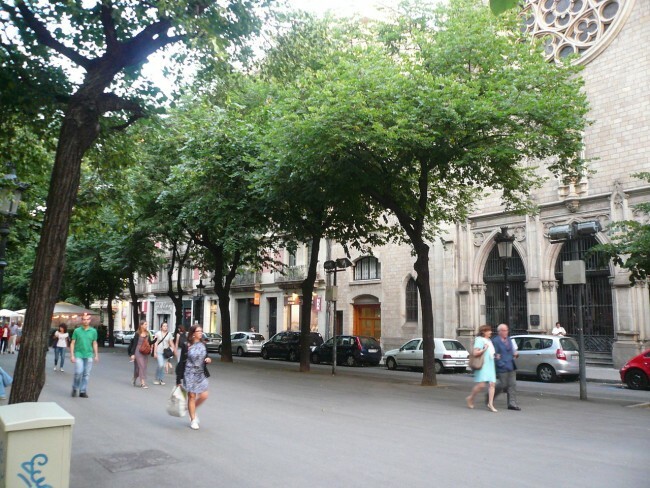 L’Eixample, which means ‘the widening’ in Catalan, was the brainchild of Ildefons Cerdà that quite literally widened the city well beyond the old city center. As one of the largest and most planned-out neighborhoods in Barcelona (from above it actually looks like a perfect grid), l’Eixample has plenty to offer visitors. From modernist architecture to markets and museums and beyond, here’s what to see and do. 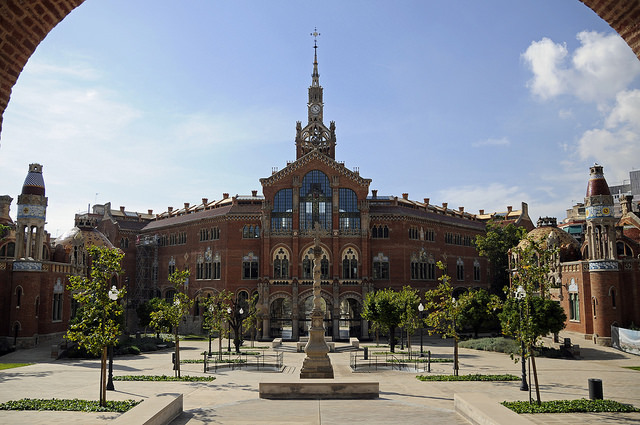 Located in a modernist building designed by the famous Catalan architect Lluís Domènech i Montaner is the Tàpies Foundation, a cultural center and museum dedicated mainly to the work of painter Antoni Tàpies — it also works toward the advancement of contemporary art. Founded in 1984 and moved to its current spot in 1990, this museum is worth checking out not only for what it contains inside but also for its original exterior that combines exposed brick with an fascinating iron structure at the top. If architecture and design is your thing and you have come to Barcelona to see examples of its much spoken of trove of modernist wonders, then this is definitely the street to visit. Lining this exclusive avenue on either side are truly spectacular buildings that any architecture lover must see. Aside from Antoni Gaudí’s Casa Batlló and Casa Milà, there are also the Casa Ametller, Casa Lleó-Morera or, at the very very top, the Casa Fuster, among many others. Besides the buildings, the tiles that pave the avenue, also designed by Gaudí, and Pere Falqués i Urpí’s bench-lampposts are absolutely gorgeous too! Also one of the neighborhood’s main arteries, Rambla de Catalunya (not to be confused with Les Rambles) is the perfect place to take in l’Eixample sites. While slightly less known than Passeig de Gràcia, this avenue is also lined with equally beautiful modernist buildings, such as Casa Juncosa or Casa Serra, among others. The center of the street also happens to be a pedestrian walkway, making it ideal for a weekend stroll. This street is home to plenty of restaurants and bars, many of which have terraces, that are ideal for a meal or a coffee once a break from exploring the neighborhood is needed — particularly delicious is the Ciudad Condal tapas bar. 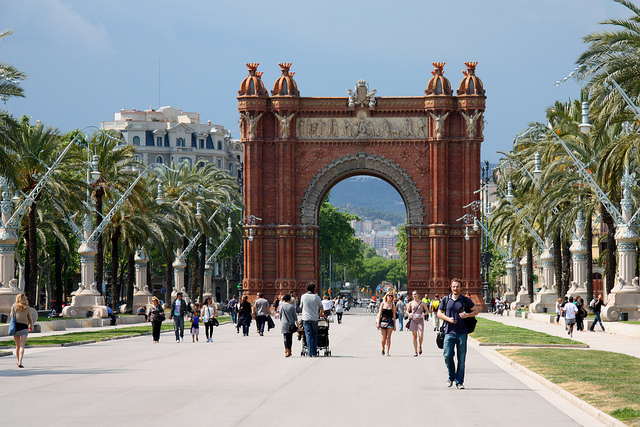 At the end of Passeig Lluís Companys is the triumphal arch, designed by Josep Vilaseca i Casanovas, that was constructed to serve as the entrance to the 1888 Barcelona World Fair, which took place at Parc de la Ciutadella that same year. This neo-Mudejar monument, built in a style that was popular in Spain around the time, was intended to symbolize ‘Barcelona’s respect for the nations and provinces taking part in the exhibition.’ The year the Arc de Triomf was built is also important because it is often considered to be the year that Modernism took off in Catalonia. The Encants Vells — Fira de Bellcaire flea market has been around for a while — over 750 years to be more precise! The flea market’s name refers to the way in which many of the items there are sold, ‘en cant,’ meaning they are sold by vendors singing about the price and quality of their products. Another way to say auction in old Catalan is, tellingly, ‘venta a l’encant’, which gives an idea of just how noisy this place can get at times. 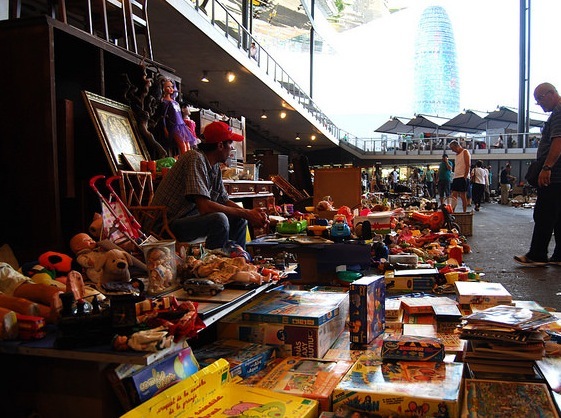 Located not far from Plaça de les Glòries, come here to find all sorts of things, old and new, handmade and machine-made, and be sure to get here early to witness the public auction. 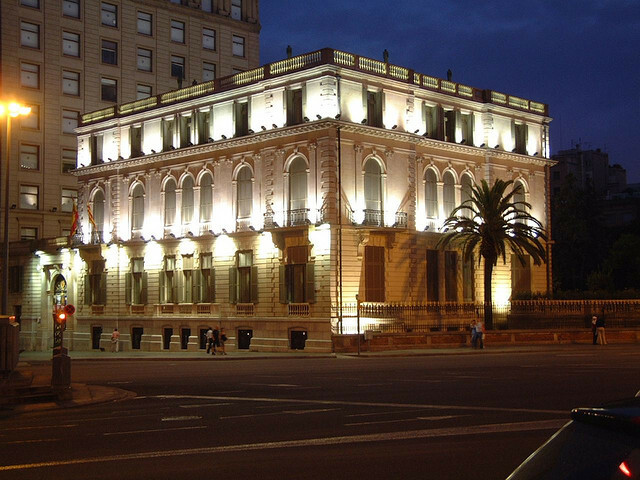 At the crossroads of Avinguda Diagonal and Passeig de Gràcia is the Palau Robert, once the neoclassical-style home of a turn-of-the-century businessman and aristocrat that now belongs to the Generalitat and serves as both an exhibition center and Tourism Office for all of Catalonia. It has two exhibition halls: one that is generally devoted to showcasing the work of artists and another that is usually used for social and cultural events. Be sure to also check out the public garden behind the building that provides its visitors with a genuine oasis of calm in the middle of the city. 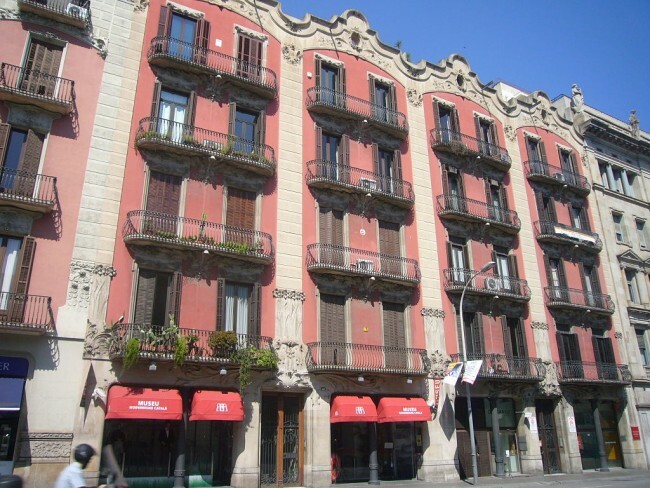 Since l’Eixample has the greatest concentration of modernist buildings in all of Barcelona, it is not at all surprising that the Museu del Modernisme Català was established in this neighborhood of all places. Open since March 2010, this relatively new museum houses a superb collection of modernist furniture, sculptures, and paintings. This is definitely the museum for art lovers as it condenses much of what there is to know about Catalan Modernism in one easily accessible location. Be sure to check out their website to see if there are any workshops or concerts going on beforehand! 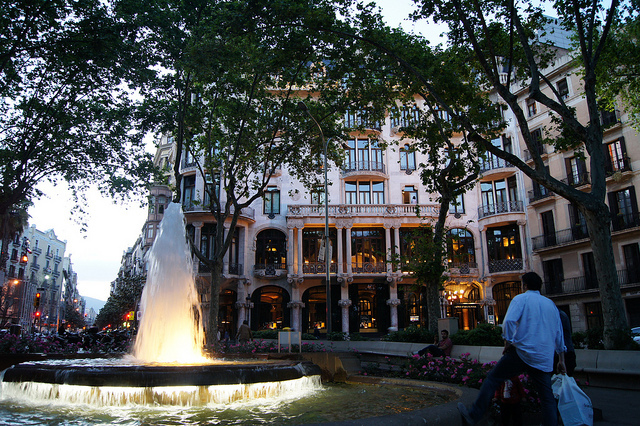 While it may seem odd to include a hospital in a list of top things to do and see in l’Eixample, one look at this one will be enough to understand why. The origins of this hospital date back 600 years, when it was still just known as Santa Creu. However, by the end of the 19th century, the hospital had already begun to be too small, which is why a banker by the name of Pau Gil decided to sponsor the construction of a larger hospital, which was commissioned to the renowned architect Lluís Domènech i Montaner and was inaugurated in 1930 with ‘Sant Pau’ added to the end of its name. As of 1997, this hospital has been considered a UNESCO World Heritage Site. Also of interest is the recently relocated Casa Àsia cultural center in the Sant Manuel Pavilion beside the main hospital building. 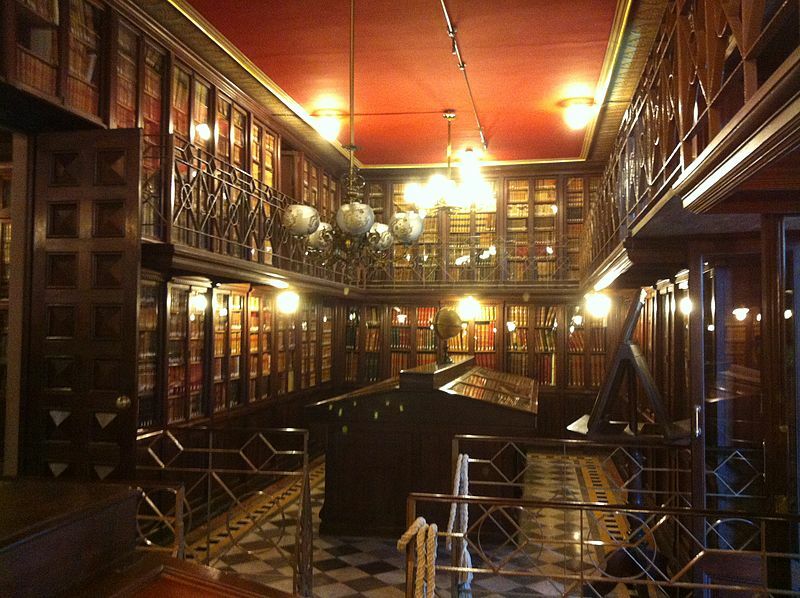 Biblioteca Arús is unlike most other public libraries in Barcelona due to its research focus, for which a special access card is needed, but it is still open for scheduled visits for those who are curious to see the wonders that are hidden among its seemingly unending shelves. Founded in 1895 thanks to the donation of Rossend Arús, a journalist, playwright and freemason of Catalan Republican Federalist tendencies, this library specializes in social movements, particularly the anarchists’ and workers’ movements. Even if you are not looking for any aging academic volume in particular, this library is still an enjoyable break from the more hectic exterior, as it makes you feel like you have been transported years back into a magical literary realm.